The young Art Students receive an introduction to Art at a very early age. 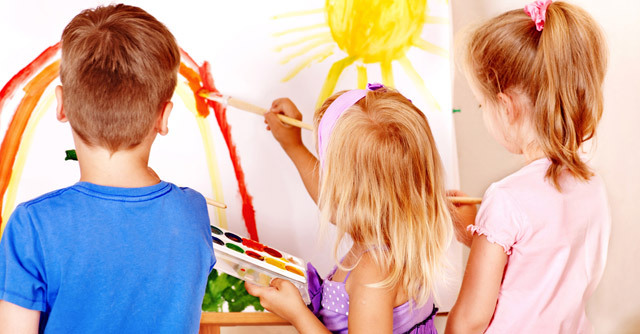 Starting at Infancy, the children are encouraged to touch and feel the paints. They use different materials, such as pom-poms, and sponges. This helps to develop their fine-motor skills at a very early age. Moving onto the Walker and Toddler Classes, I add an assortment of different materials for the Students to work with. We explore the blending of colors, paint with many different and unusual brushes, and also learn about patterns and printmaking. Most of all, we have a lot of fun!